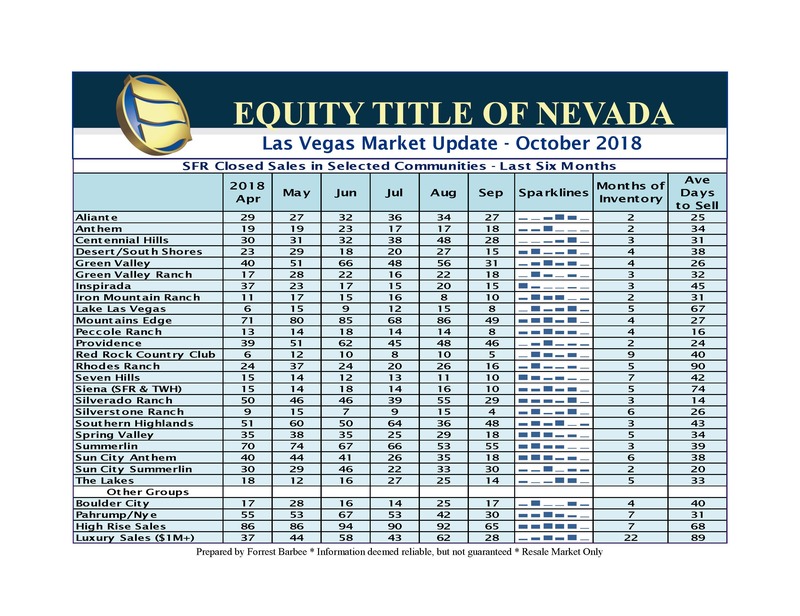 The Las Vegas real estate market slammed on the brakes during September and witnessed a nearly 24% drop in closed units compared to August 2018 and a nearly 16% drop compared to September 2017. Now media reports would have us believe that our market price increases are out of control while leading most other metropolitan areas in the United States. 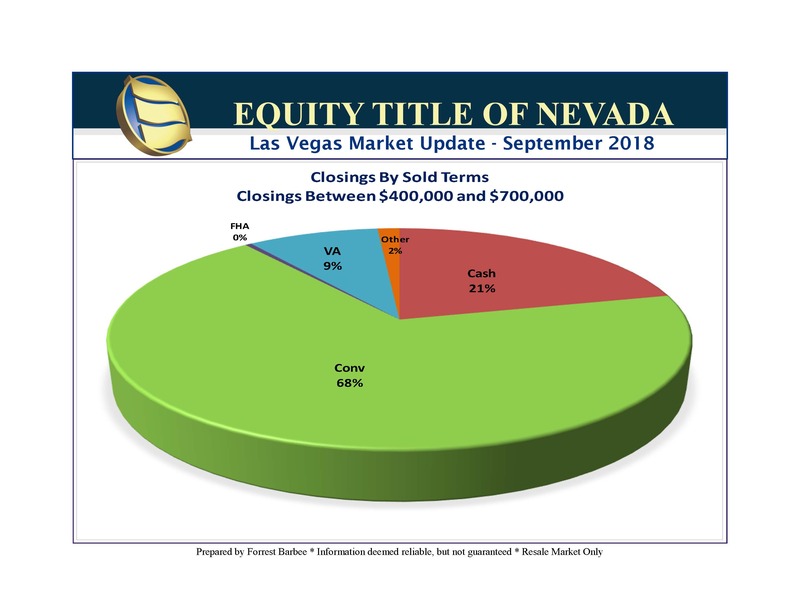 They are correct that the Greater Las Vegas market continues to experience upward price trends when looking at median price movement. That stands to reason when we consider that resale inventory and sales below $300,000 continue to contract in units and volume. Moreover, new home sales may offer some attached products in the price range, but little to no new home inventory at this price point for single family detached homes. Yet the rise in interest rates is now putting downward pressure on home prices. In turn, conventional loan financing appears to be severely impeded at price points below $400,000. One month does not a trend make – but it’s time to closely monitor where the market is going!! Perhaps your cheese has already been moved when you weren’t looking?? September 2018 Single Family Residential (SFR) closed sales were down 21.1% from August 2018 and were down 16.5% for the same period last year. The SFR median sales price improved to $300,000 while the SFR average closing price dipped to $342,042 for a 2.2% decrease from last month. Residential inventory rose sharply this month leaving the SFR market with 2.8 months of inventory. Unfortunately, the amount of overpriced listings soared to 58% of what is available. 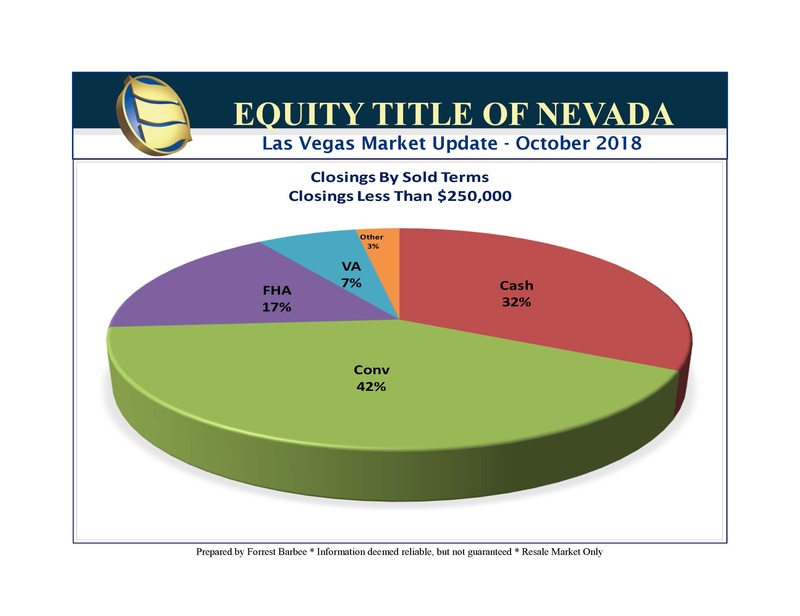 Communities with three (3) months or more of inventory can expect fewer multiple offers and must face the reality that buyers and sellers have parity in contract negotiations. Three to six month of inventory is considered a balanced market that does not generally favor either the buyer or seller. That could very well be the case in Seven Hills or Sun City Anthem at the moment. Basically, it’s time to stop assuming that the seller has all the negotiating advantage in this market. They may or they may not!